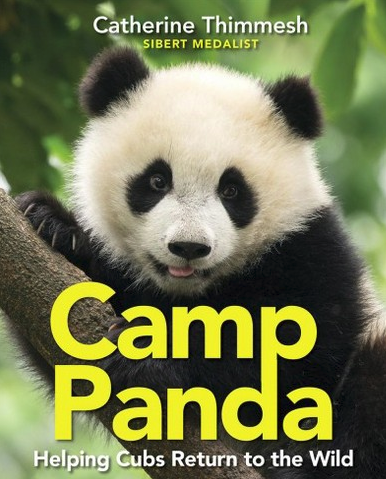 Much of this book also features information from Suzanne Braden, director of Pandas International. 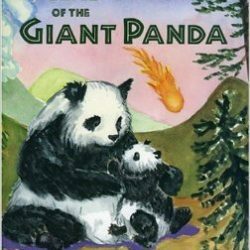 Deforestation, poaching, pollution, human overpopulation, and climate change have severely damaged the habitats and population of giant pandas in their native China, but government-supported conservation efforts are helping bring back a species that is considered a national treasure. Thimmesh explains the work of the China Conservation and Research Center for the Giant Panda in the Wolong Nature Reserve, which uses a three-stage program to reintroduce pandas to the wild. The goal of the program is to create a self-sustaining wild panda population, one that can survive and breed without human intervention. 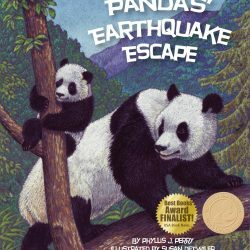 Since baby pandas are not born with an innate set of survival skills, CCRCGP scientists must teach the cubs those skills, such as how to find food, avoid predators, and seek shelter. 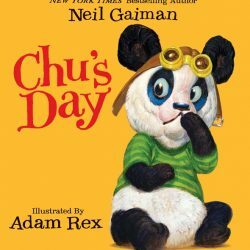 To mitigate human contact with cubs in training, scientists must wear giant panda costumes rubbed all over with excrement and urine so that they look and smell like giant pandas when handling and interacting with cubs. 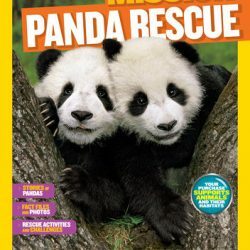 Thimmesh acknowledges critics of this ambitious, expensive program but explains that the panda has become an adored iconic species, and conservationists can build upon their popularity to “broaden public awareness and support for a wider spectrum of conservation concerns.” Complementing Thimmesh’s thoughtful, engagingly written text are many arrestingly adorable color photographs of pandas in training and in the wild.